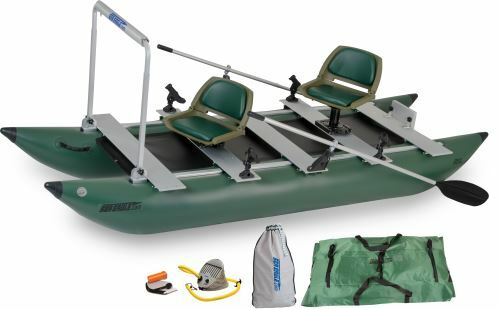 These Frameless Fishing Boats are roomy, lightweight, ultra-portable, pack into a small bag, and can be stowed in small spaces. Great for lakes, rivers, bays, creeks or almost any body of water theFrameless Fishing Boats will take you where you want to go and where most other boats wouldn't dare! Because they have no frames they pack down small and light and because they don't require a trailer you can carry them to the most remote hard to reach locations where fish hide most! Because they are equipped with universal Scotty™ Mounts, you can customize these Frameless Fishing Boats as you wish! Outfit them with multiple rod holders, sounder mount, anchor lock, running lights, bait board or cup holders. We offers an assortment of Scotty™ accessories to suit your needs. 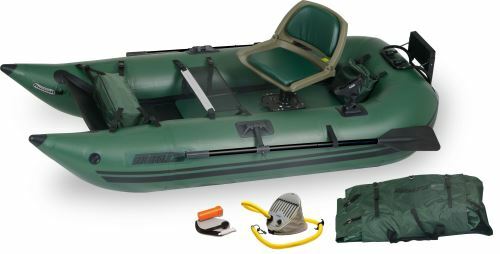 Review a selection of inflatable pontoon and framless fishing boats.